It has been a difficult week for the business social media site, Linkedin. As every paper in the UK has shown, the leaking of 6 million passwords is a situation that needn’t have happened. Here at DataSpace UK it is something our business works hard to help people avoid. A Russian hacker was able to access over 6 million passwords and post them online for the whole world to see. This was a huge breach of data and meant that LinkedIn have had to come clean and request that people change their passwords. LinkedIn itself has over 160 million users. A popular site with men and women in the business world it is a valuable social media network. LinkedIn have been working with the FBI on securing their data and ensuring that this hacking incident does not have any lasting effects. What was of interest thought, was the types of passwords that have been leaked. 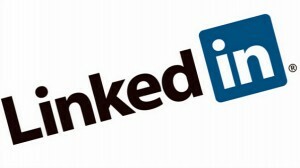 It highlighted that many LinkedIn users were using passwords such as 123456. Around 10% of these leaked passwords were common terms, even the word ‘password’ was amongst some of the most popular. So, if you consider your own data, how well do you think it is protected? Do you use different passwords? Do you make sure that you change your passwords frequently? If the answer is ‘no’ then you need to ensure that you are choosing passwords that are not easy for others to work out. Google have realised some rather interesting ways in which you can chose a password that will give you peace of mind. Want to create a strong password? Ask Shakespeare, that is the advice from Google. Consider the phrase ‘To be or not to be, that is the question’. Now write it 2bon2btitq, and you have a secure password! If in doubt, change it. That way you will keep your data safe from prying eyes.